Using the same innovative and proven approach that made the authors’ Engineering Mathematics a worldwide bestseller, this book can be used in the classroom or as an in-depth self-study guide. 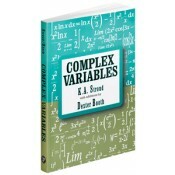 Its unique programmed approach patiently presents the mathematics in a step-by-step fashion together with a wealth of worked examples and exercises. It also contains Quizzes, Learning Outcomes, and Can You? checklists that guide readers through each topic and reinforce learning and comprehension. Both students and professionals alike will find this book a very effective learning tool and reference. • Uses a unique programmed approach that takes readers through the mathematics in a step-by-step fashion with a wealth of worked examples and exercises. • Contains many Quizzes, Learning Outcomes, and Can You? checklists. • Ideal as a classroom textbook or a self-learning manual.